* Please use Special Repair Tools. We matched is universal tools. * Each screen was tested one by one with our board before shipping to make sure it works perfect on your device. Compatible with: White Samsung Galaxy Tab A 9.7" SM-T550. Touch panel and digitizer only. Adhesive pre-installed. NOT include LCD Display. 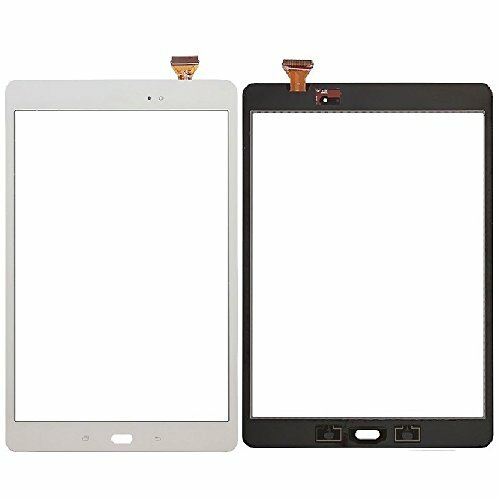 Check if the device could be power on before assemble the screen,if okay,then power off and tear off the protective film on the panel and then assemble the screen.if not,release the ribbon cable and connect again. The scratches, letters or numbers on the screen will go away after the protective film is removed. 2 Year Warranty, 30-Day return policy so you can feel comfortable with your purchase! If you have any questions about this product by XR, contact us by completing and submitting the form below. If you are looking for a specif part number, please include it with your message.